The Ward Manor Cemetery Project is a mini-lab under the Digital History Lab. 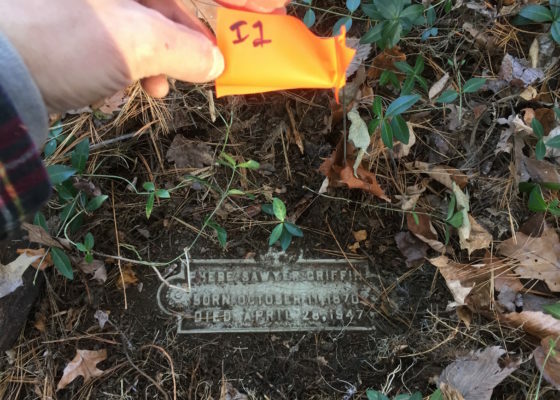 The project centers on a mid-twentieth-century cemetery in present-day Tivoli Bays Wildlife Management Area and aims to recover not only the names of these former residents of Ward Manor but also to bring their pasts into our present. The Ward Manor Cemetery Project is a mini-lab under the Digital History Lab. 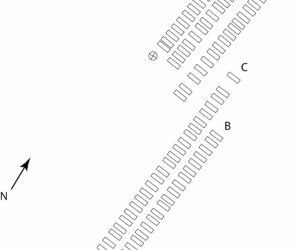 This documentation project is planned in several phases of work, which overlap in their implementation. 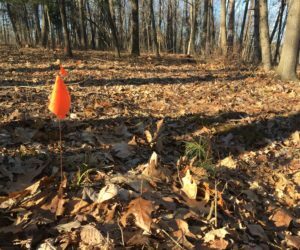 The project centers on a mid-twentieth-century cemetery in present-day Tivoli Bays Wildlife Management Area. The 170+ graves are those of residents who lived at Ward Manor when it was a progressive retirement home run by the Community Service Society (c. 1920s-50s). The mansion of Ward Manor and this cemetery were separated from one another when Central Hudson purchased the 1000 acres of Tivoli Bays in 1960 and Bard College purchased Ward Manor and the remaining 90 acres in 1963. The aim of this project is to recover not only the names of these former residents of Ward Manor but also to bring their pasts into our present. Since then the cemetery has been largely forgotten and became overgrown until Bard Building and Grounds Director, Randy Clum, cleared the site. The grave markers have been covered by about 4-6 inches of dirt and roots over the years. Therefore, the initial work of the DHL was to carefully uncover the grave markers. Volunteer, Joe Zenovic of Red Hook, used a metal detector to locate each marker, and the project team followed behind placing flags to mark the graves and then dig to uncover the plaques with names and birth and death dates. 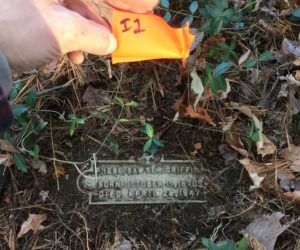 Each marker’s information is labeled with a unique identifier and recorded on field survey sheets, also noting the condition of the grave and the marker. The marker is then photographed. 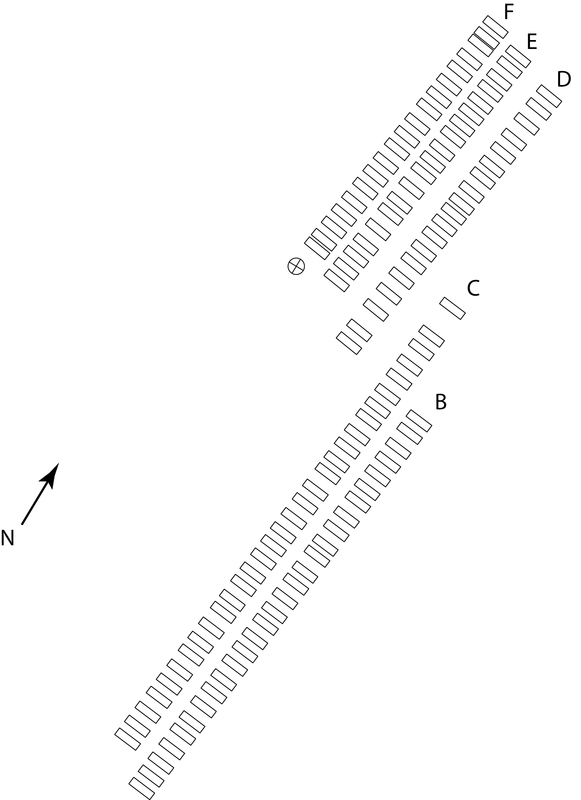 After a row is determined to be fully marked, measurements and GPS coordinates are taken to produce a plan of the cemetery. 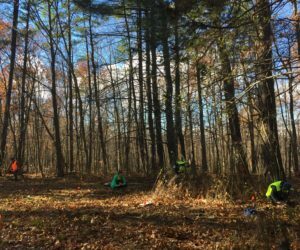 The field work continued through Summer-Fall 2016 and will pick back up again in the spring once the ground has thawed. 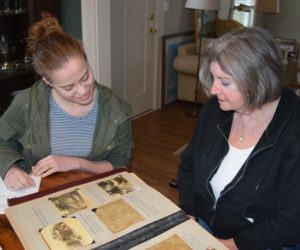 In Summer 2016, Helene Tieger and Emily Majer visited the archives of the Community Service Society at Columbia University, collecting valuable research and documentation of residents at Ward Manor just before the retirement home closed after its purchase by Bard College. Summer interns in the library began a database of these residents matching their records to any of the names uncovered by that time. 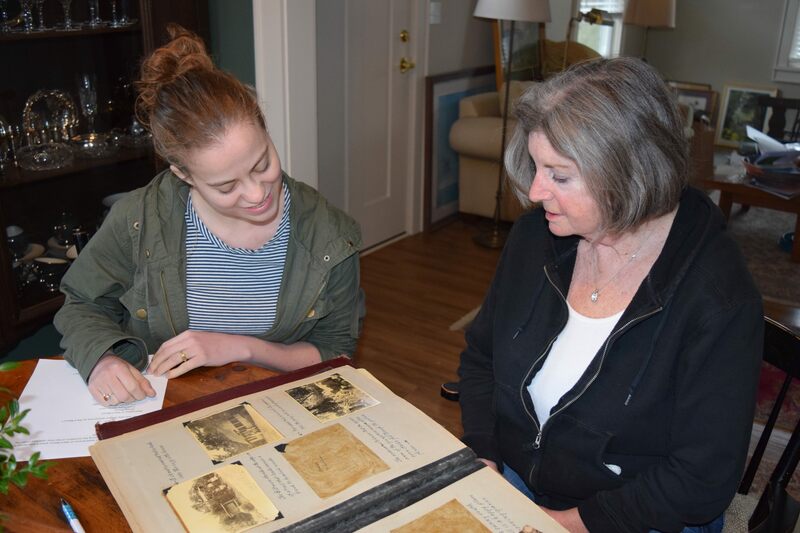 These interns also began research on others buried in the cemetery, finding census, birth, immigration, and other records as well as obituaries. 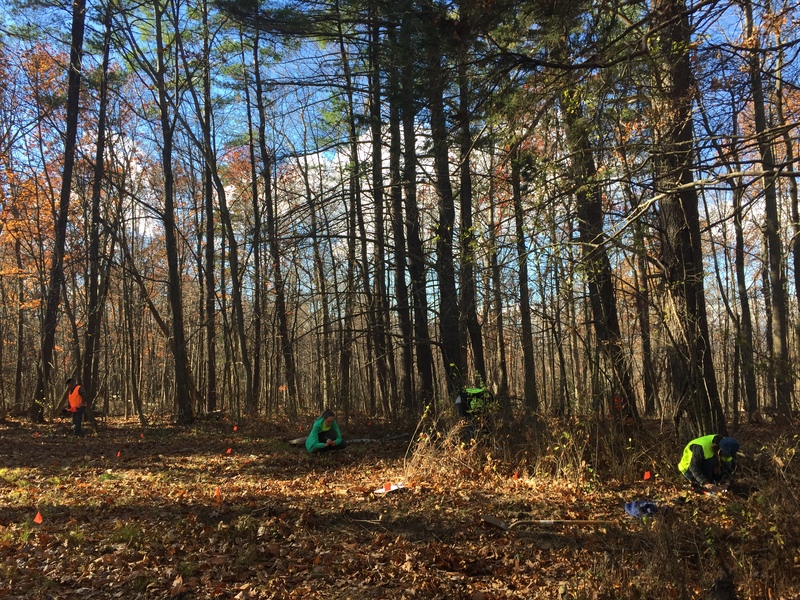 Anne Comer is continuing this work in the winter months as field work has paused due to the cold weather. In Spring 2017, we will begin to collect oral histories from current and former Tivoli residents who remember Ward Manor as a retirement home as well as its adjacent summer camps. These will be collected and archived in the Bard Archives. Read more here. 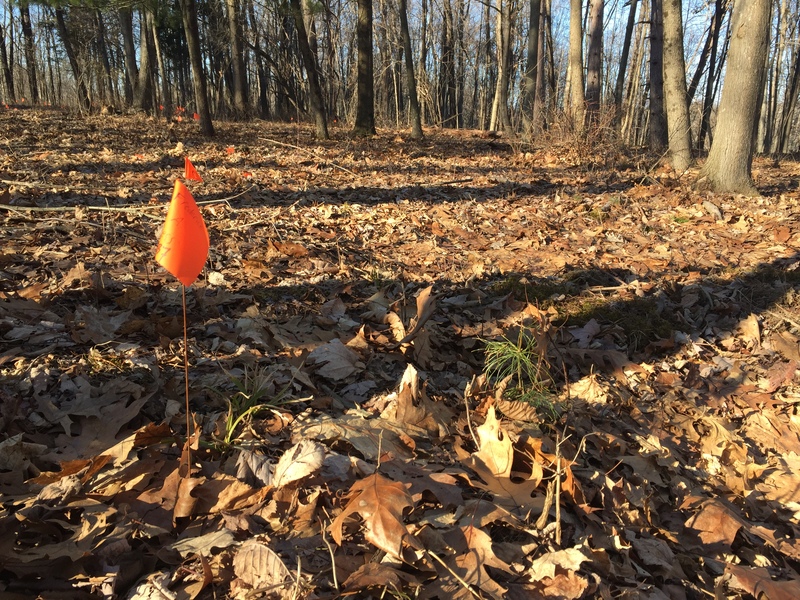 Plans for Spring 2017 are to finish the field work, uncovering the last row of graves and documenting their information to continue the research. The survey of the cemetery will be georeferenced and the research that has been completed will be mapped onto each grave, bringing back these residents into our present memories.